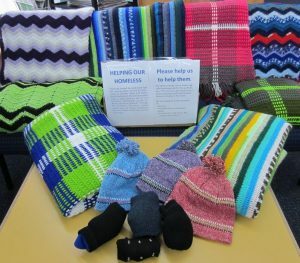 Blankets created and donated by Library Technician, Debbie Harbrow. How lucky are we? Each and every night this coming winter, we will go home. Home to warmth, safety and shelter from the elements. We will have a good meal, a warm bed as well as our wonderful communities around us. Others are not so fortunate. Through the misfortune of trauma, mental health issues or family breakdowns there are people, tonight, who are cold and hungry. Deodorant or anything you may feel would be appreciated. All donated items will be given to homeless people at the conclusion of the display. 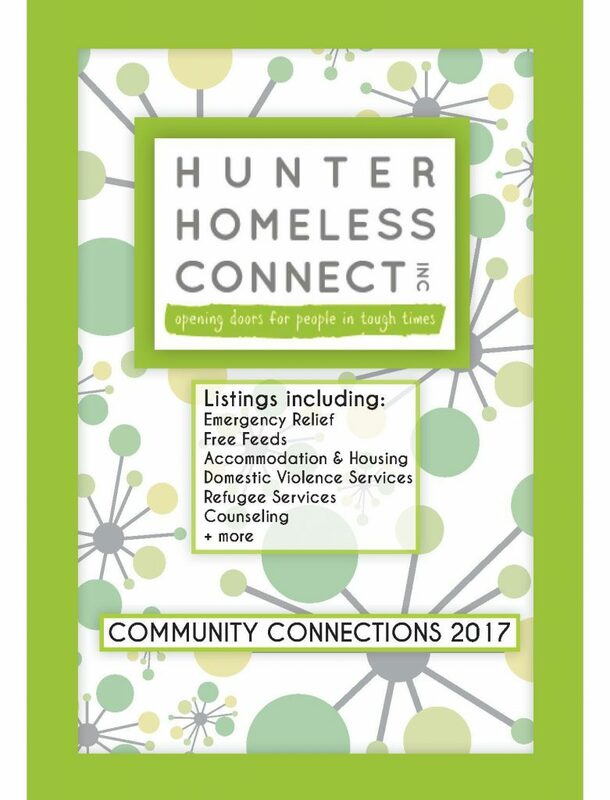 Hamilton TAFE students have compiled the Hunter Homeless Connect Guide with useful contacts for the Newcastle and Lake Macquarie area. This guide may be useful for any students facing financial and/or accommodation difficulties. This guide is available at several Hunter campuses and libraries including Hamilton, Hunter Street and Newcastle. This entry was posted in Community Engagement, Library Displays, zTAFE NSW Hamilton Library and tagged community engagement, Displays, Hamilton Campus. Bookmark the permalink.